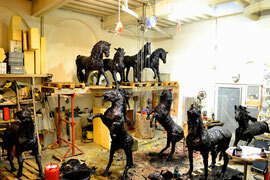 At the White Turf 2011 on the frozen St. Moritz Lake, horses were the central focus in more than just the races. 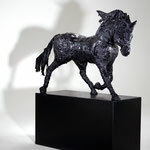 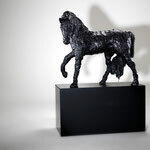 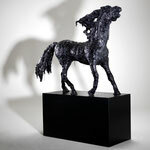 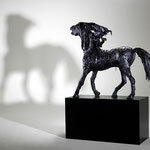 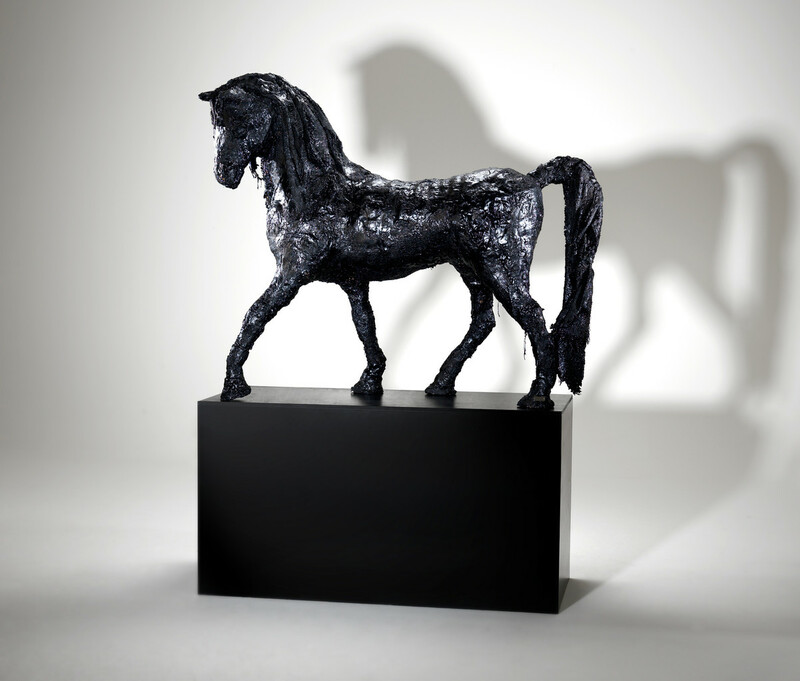 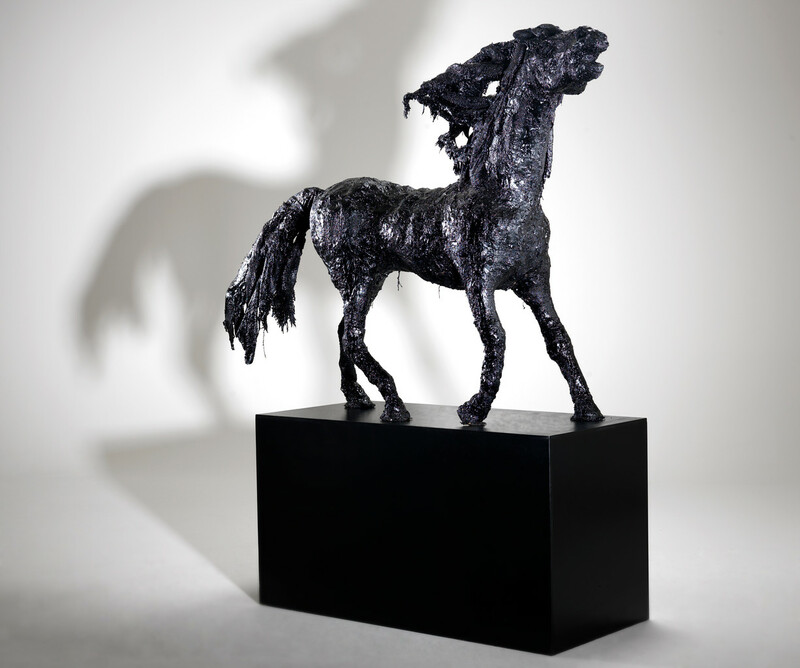 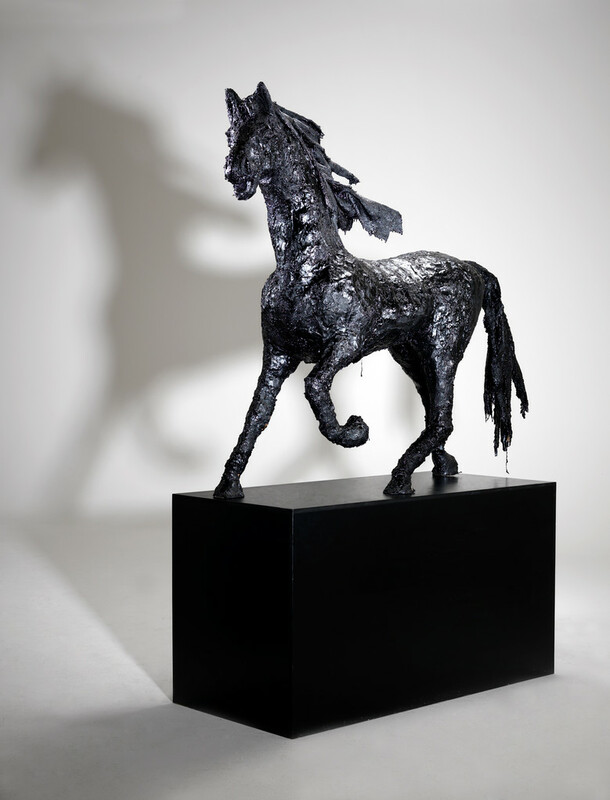 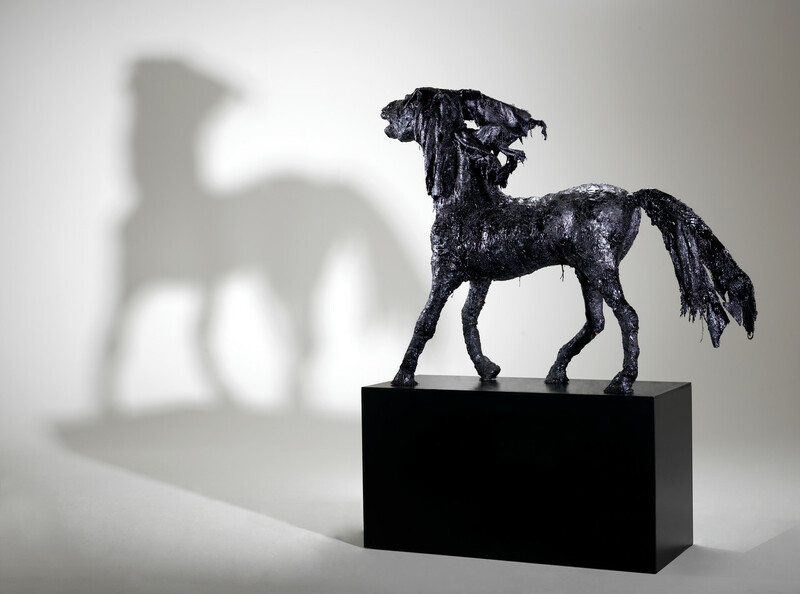 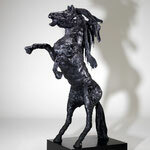 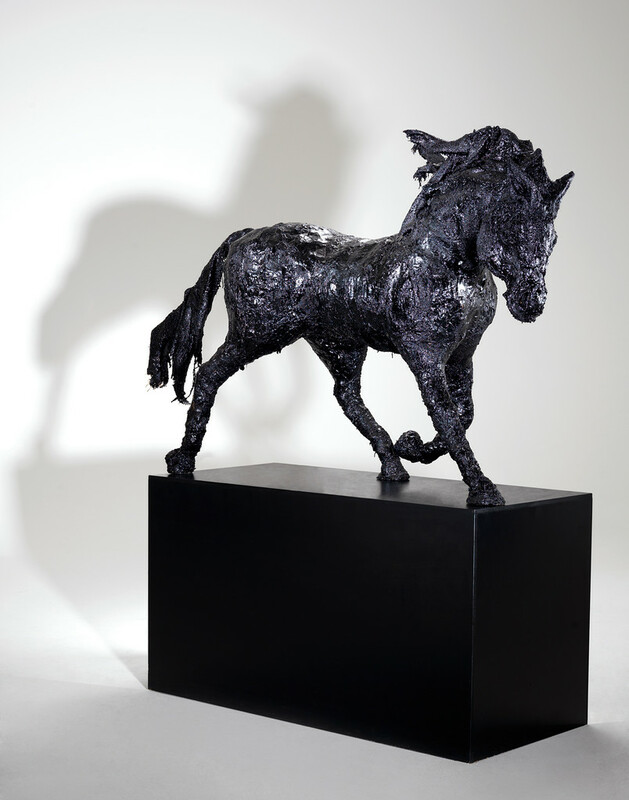 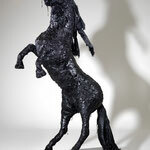 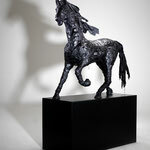 To enrich the top-notch winter event with art objects, a series of plastic horse sculptures was created from the extraordinary material of bitumen and exhibited in the VIP area. 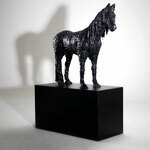 The stocky, jet-black figures symbolise and express the archaic power and elegance of these energetic animals. 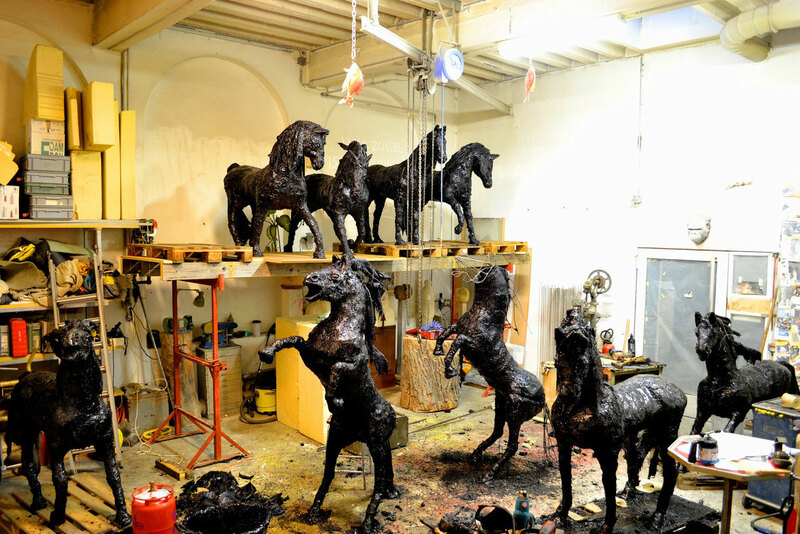 It was obvious to the artist to choose bitumen, which was used in art even some 6,000 years ago and must be worked while hot as a material. 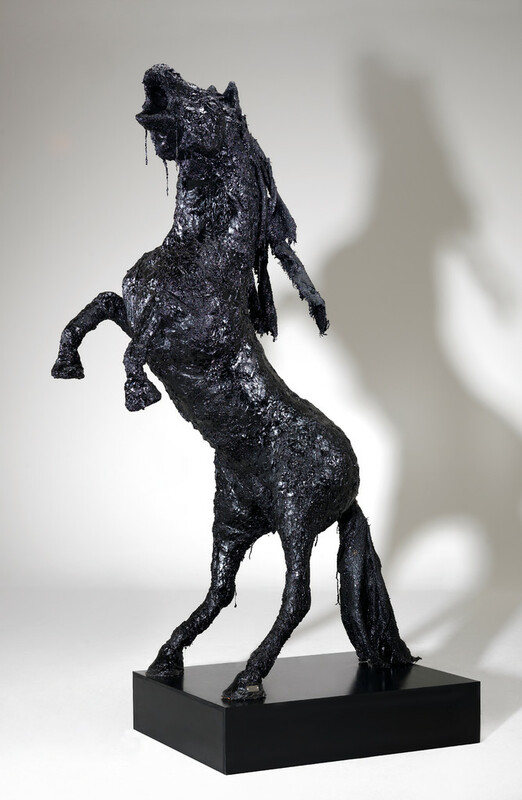 After all, this viscous distillate which is obtained from crude oil and rock is predominantly used in road construction today. 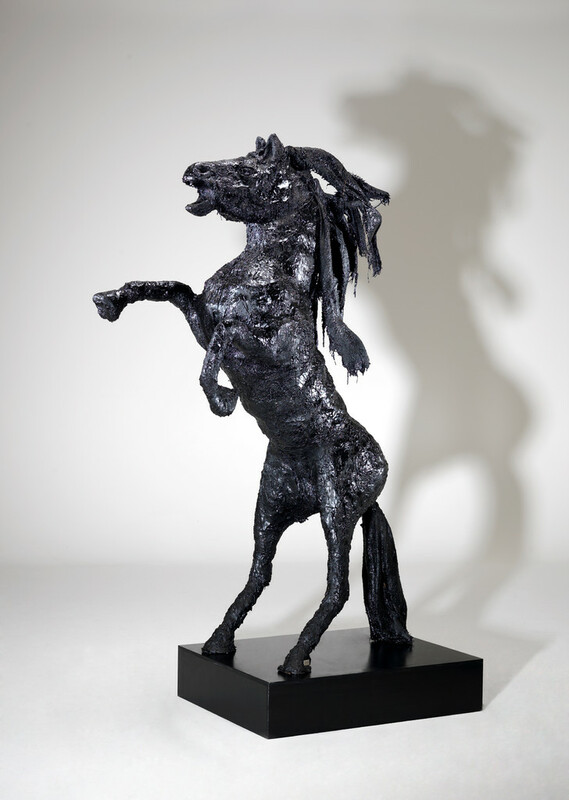 Horsepower plays a critical role in the mobile world, just like crude oil and bitumen do as fuel and road surfaces. 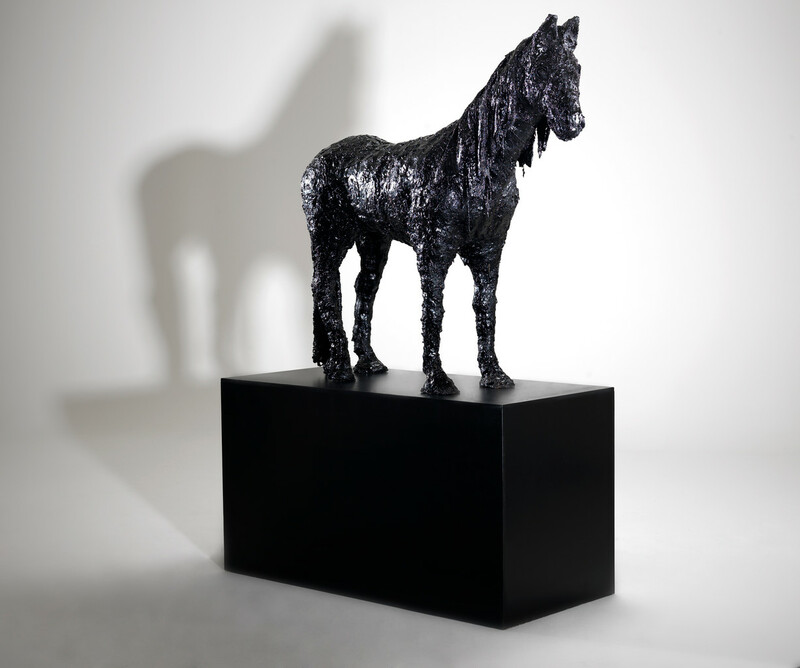 This results in a fascination of contradictions which is reflected in black and white perception, heat and cold, bitumen and snow. 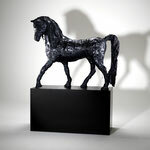 The shine and glamour of the final product is opposed by the sophisticated craftsmanship in the studio. 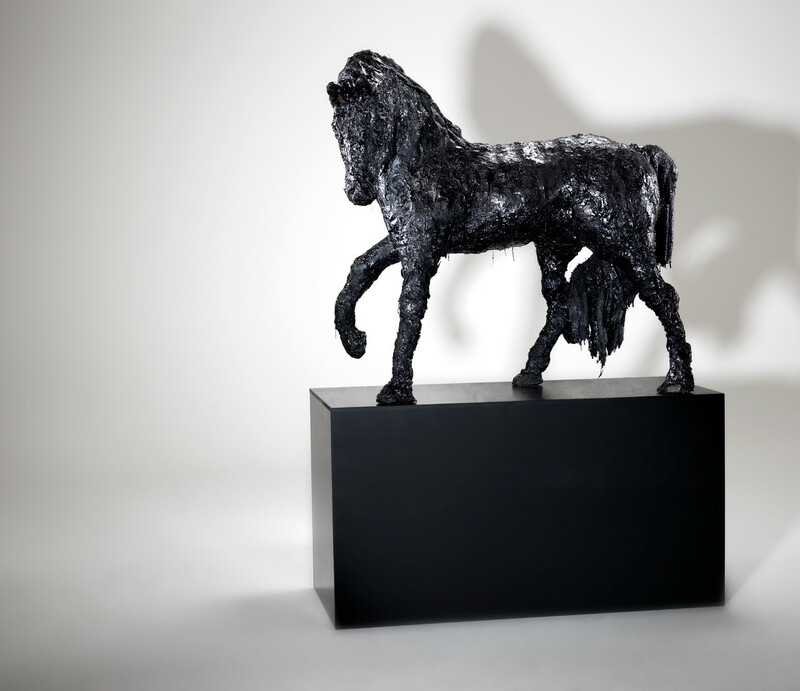 What remains is the unadorned authenticity of a work.